In a market that sees new waterproof, rugged cameras every year, we hear a lot less about the qualities of the photographer’s crucial tool: the SD card. If you’re on a trip and your SD card fails, your camera is just dead weight. 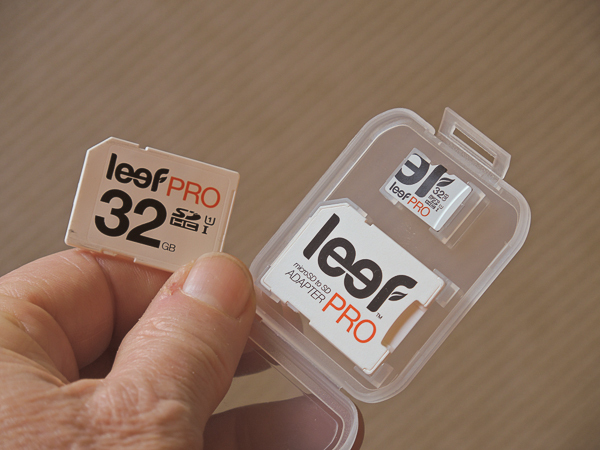 Recently we tested the new Leef Pro microSD and SD memory cards. These puppies boast a processing speed about four times faster than standard cards and can read and write data up to 45 MB/s (megabytes per second) in 4-bit transfer mode. * Temperature shock test: Expose the product repeatedly back and forth between -20 and +40 degrees Celsius. Jumping from the warming yurt to the slopes and back? No problem. * Humidity test: 95% humidity for 3 days. Leef will hold out longer than you will. * Salt spray test: Douse product with salt water for 3 days straight. Caribbean sea water is not a problem. * Drop test: Drop product from 1 metre onto concrete. It can take a lot more than falling out of your pocket. * Electro Static Discharge: Shock the drive with 4 kilovolts of static electricity to make sure it doesn’t disrupt the drive’s function. That’s way more than your sweater can deliver.